Recently I ordered from My Favorite Things for the first time and I finally got a few things that have been on my wish list for forever! I know there are other rainbow dies out there, but I like the scale of this die and I *love* the fact that there are 7 colors in this rainbow:) I'm from Hawai'i and you know we take our rainbows seriously, heehee! 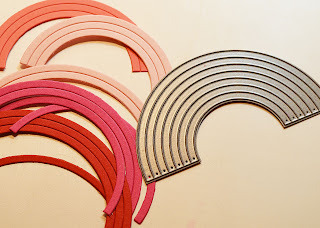 I cut the rainbow in blush pink, coral pink, hot pink, and red. If you look really close, you can see that the cut "rainbows" are flush with the red background. With so much color going on, I thought the extra layer would be distracting. I finished it off with a clean and simple sentiment from My Cute Stamps. That's it for me tonight! Thanks so much for stopping in and I hope you're having a wonderful weekend! You sure did Laura justice with this card! It is crazy awesome. I am going to post my card tomorrow and sadly, it's not as good as yours (no surprise). Not sure, but I think you might have put my card to shame! This is awesome!!! This is just beautiful JJ, so striking, and the possibilities are endless with this design! Fabulous! What an awesome card and awesome use of that die! This is incredible, JJ! It jumped right out at me from my reader this morning. I love the shades of red and pink you used and the fabulous bold sentiment panel in the middle. Absolutely stunning! Thanks for joining us again this week at CASE Study! Fabulous design and colours and great use of the rainbow die! I think this is perfection JJ! 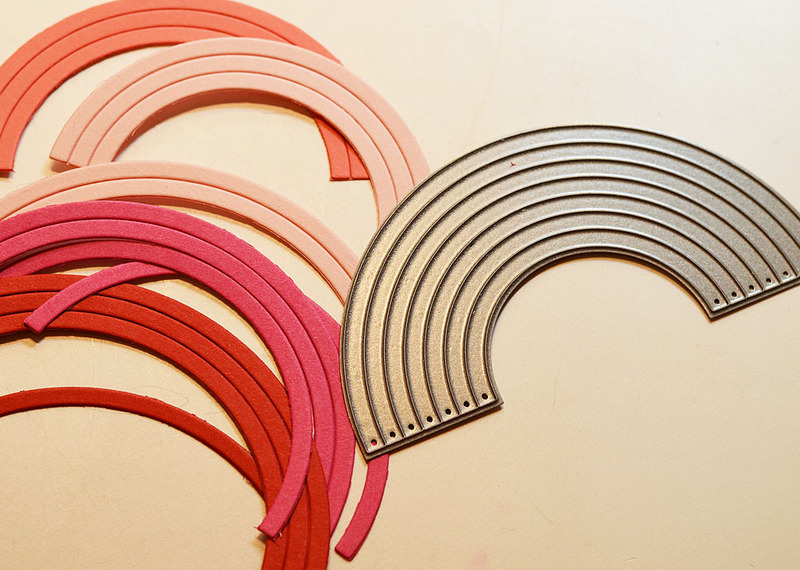 I love the clean crisp die cuts and the colors remind me of hybiscus flowers. Great graphic style! How cool and creative:)!! WOW, VERY nice!! Love this! What a fabulous technique! Wow! This is fabulous!! You certainly did do Laura`s card justice. An inspirational take on Laura's card. Rainbows ARE serious! Love this die :) And I love the colours you chose, with the pop of black. Stunning!! I adore this card! I have never seen a rainbow die but now I am going to be on the hunt for one. Thanks so much for sharing! Your use of the rainbow die to create this graphic image is truly creative. Blessings! AMAZING design JJ. WONDERFUL take on the case card! LOVE it! SUPER card!! Thanks for joining us at CASE Study this week! A-MAH-ZING!! Wow, girl... you've such a way with design, love it!! Sensational!! 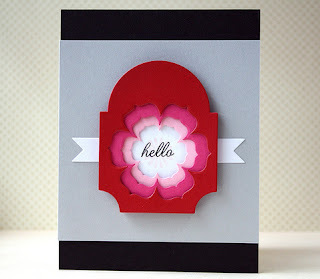 Your card is eye catchingly gorgeous!! What a really clever card! The colors are fabulous!! Awesome design, JJ! 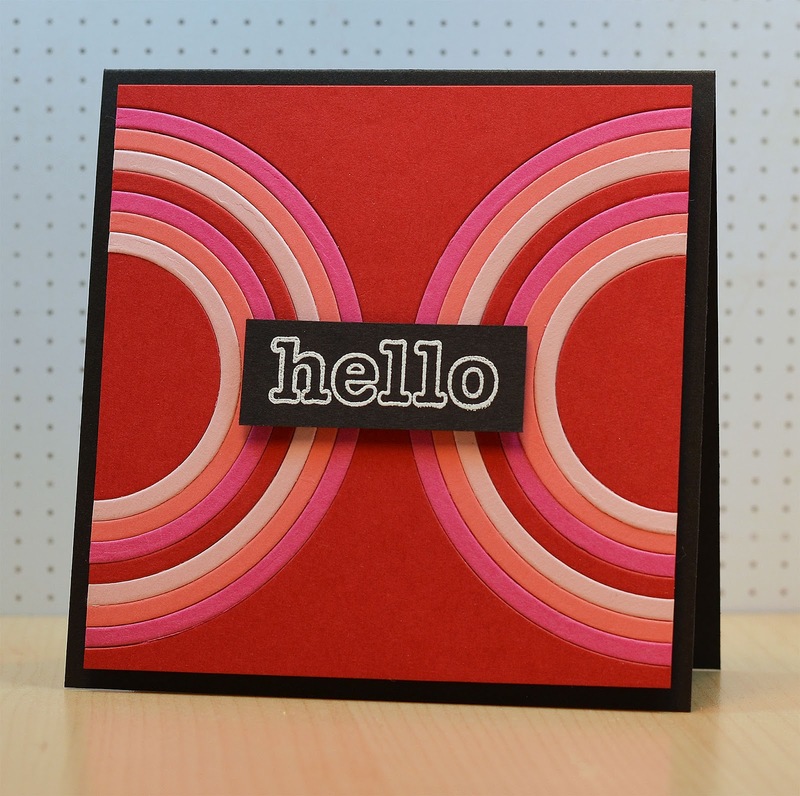 Love how you used the rainbow die to create the semi-circles. Congrats! 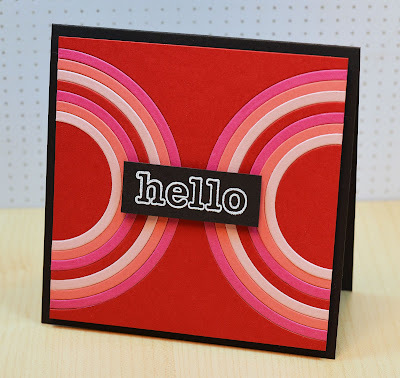 I have just found you two from a moxie fab challenge and boy am I glad I did! Both of your works are amazing!!! So excited to be a new follower and to see more in the future! YEAHHHHH! You won! Go YOU!!! I knew this one was a winner!